Read the original story in EchoNet Daily. 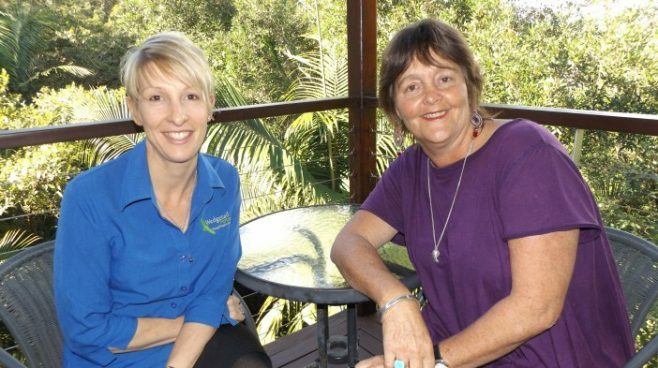 Meredith Dennis, the inspiring head of Tweed-based charity Tweed Palliative Support and Wedgetail Retreat community hospice, has just been announced as a NSW Finalist in the 2017 Australian of the Year Awards. Ms Dennis said she was thrilled to be a state finalist. ‘It is such an honour. I can’t wait for the presentation in November. The success of the charity has been a team effort and I am privileged to lead such a motivated group of people,’ she said. The award applications are assessed for significant contribution, an inspirational role model and a demonstration of excellence within their respective fields. Liza Nagy, the charity’s project manager nominated Ms Dennis with friends and colleagues secretly providing Meredith’s impressive 18-year volunteering history to her. ‘Meredith volunteers over 60 plus hours each week. She oversees the operation of Wedgetail Retreat community hospice, the home hospice volunteer service, the TPS Hospice Op Shop, community engagement and other palliative care support services,’ Ms Nagy said.